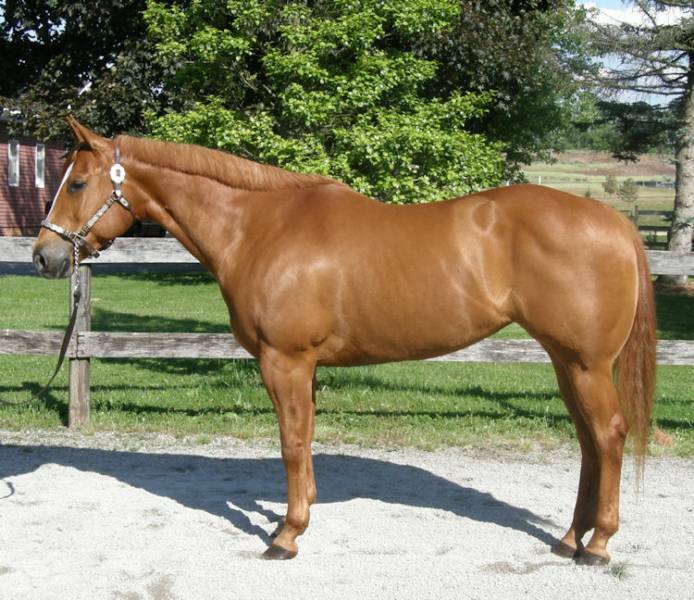 Please send up updated photos and information on the horses that you have purchased from Mikell Farm! We LOVE to hear about what you are doing! 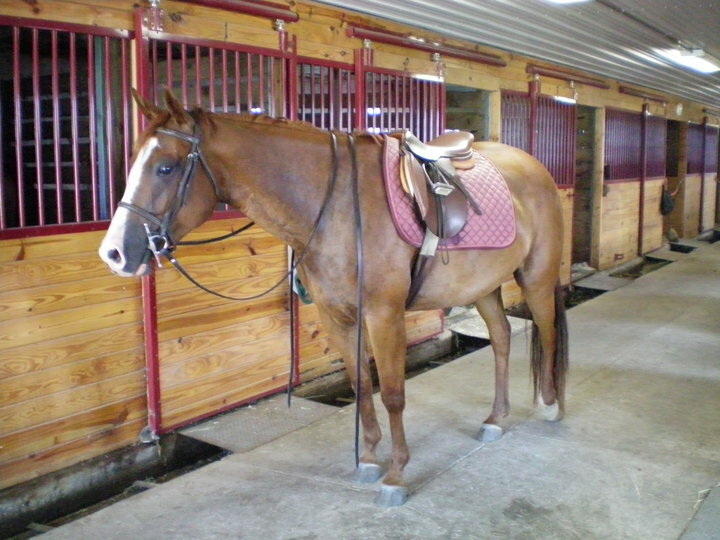 I would love to complement you on being such a wonderful trainer and I cannot tell you how pleased I am with Peppy. I had her for sale, but my hubby says keep her. Peppy and I are so tight and I love her to death !! She is just perfect !!!!! Just wanted to update you on how Tex is doing. He unloaded fine and is already feeling at home. 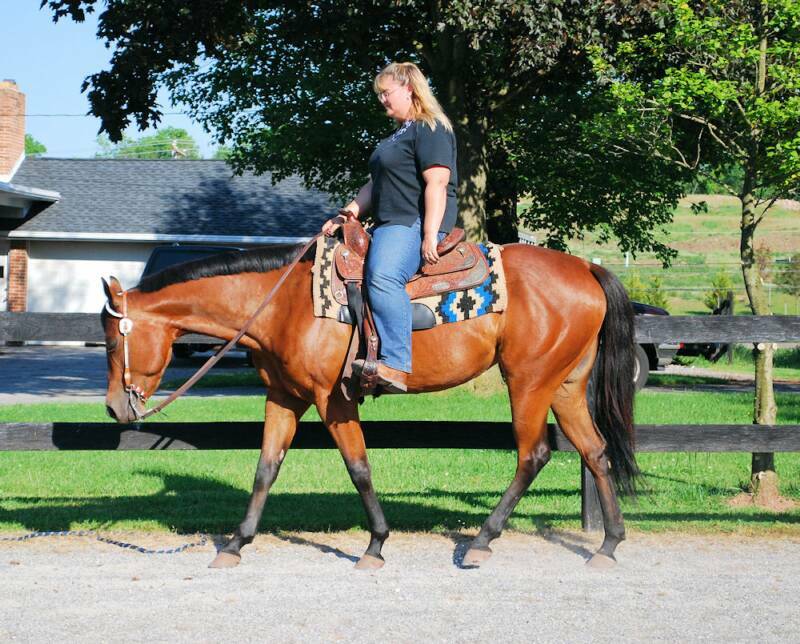 Dawn is having a blast riding him and absolutely loves his personality and ride. Thanks for making this a happy and memorable experience. We will send some pics soon. Well Abby finally arrived at 1 o clock in the morning, she seemed pretty calm after a very long trailer ride. She is so gorgeous! Wow! Ash and I sat outside with her until 4 am. We gave her a bale of hay and some sweet feed and I think she ate until this morning. I have to say this was pretty scary buying a horse unseen, but you have been awesome to deal with and maybe we will do this again some day! Just wanted to drop you a quick note to tell you how well HotRod is doing! I can't believe it is almost two years since I found his beautiful picture on your web site which led me to you and in turn to him. He is the sweetest horse that anyone could ever ask for and has brought so much joy and happiness to my life, and to my husband and son as well. Absolutely everyone who sees him comments on how beautiful he is, and about his disposition. 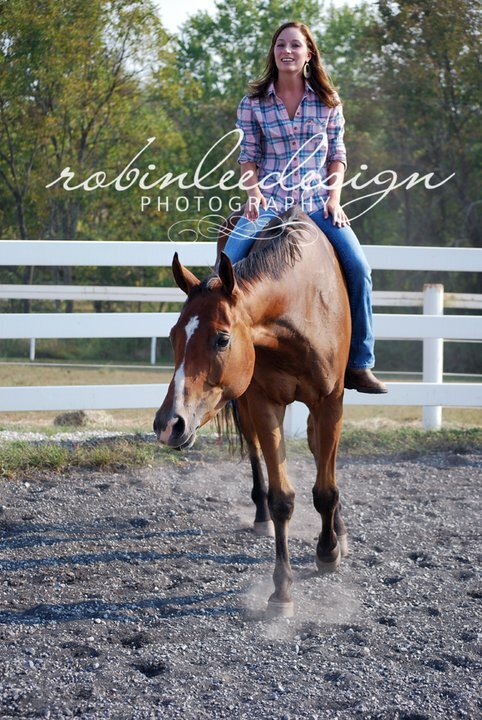 He is certainly a people horse:) You did a fantastic job with him and I can't thank you enough! 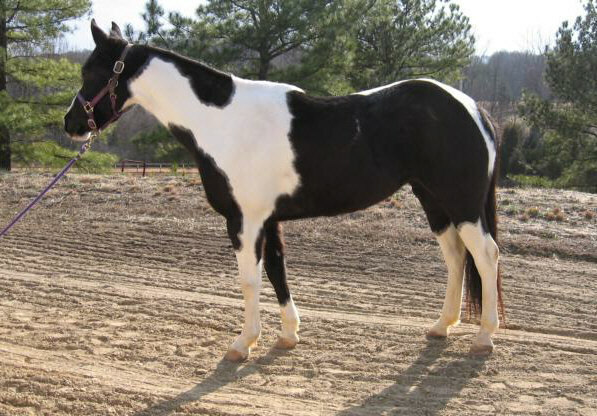 If all of the horses that you train and sell are a nice as HotRod I am sure that you have made so many people incredibly happy! Daisy is doing fantastic! She is doing great ready for next show season. We are looking forward to doing all AQHA shows next year! 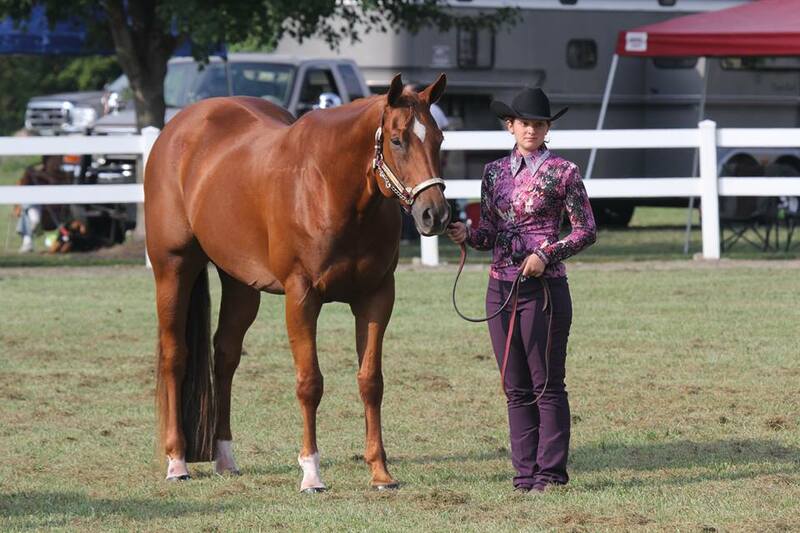 Last year we did a lot of local AQHA shows and the local MD/PA circuit. We got Grand Champion in Youth Showmanship, Reserve Champion in Adult Showmanship, Reserve in Youth HUS/ Pleasure, and Reserve in Youth Equitaton (MD/PA). We got some of our first AQHA points also. We got first in our county 4h show in showmanship, equitaion, pleasure, and second in trail. that qualified us to go to districts in all our classes. At distict I got second in showmanship. I then qualified for states in showmanship. We again this year competed at the MD state fair where for my 4th time Daisy's 2nd we got the grooming and showing champion. Phenomenal lesson program tailored to what each individual needs. 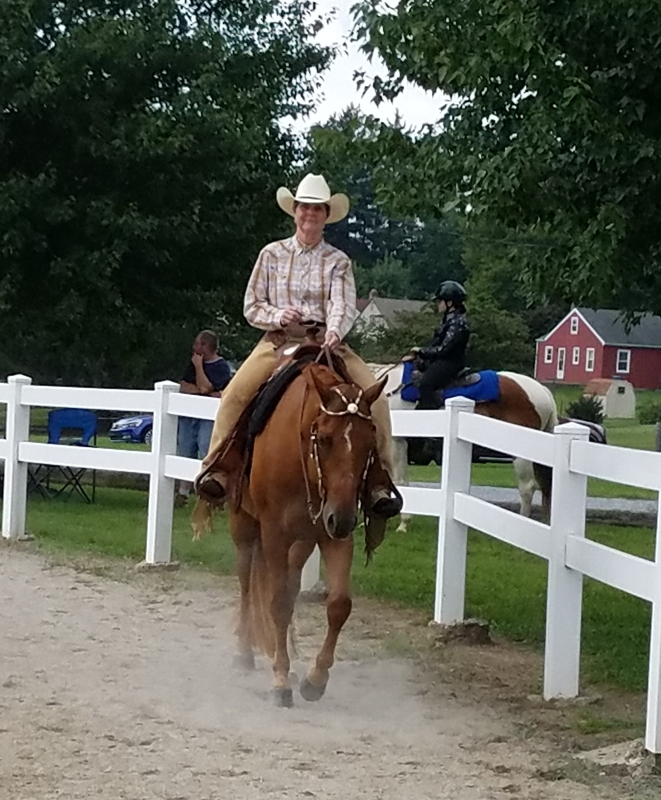 Highly recommend for training; Kelley went beyond what was expected and emphasizes on teaching you how to ride and work through problems on your own rather than relying on training devices or regular riding from a trainer. 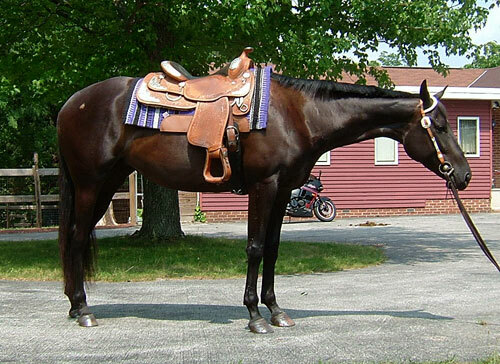 My horse is happier and riding the best he ever has in the years I've owned him. Also great at building confidence and providing a fun, positive atmosphere. Kelley is an amazing instructor! As a retired lady who had not been riding for over 25 years, I never thought I could achieve going to a horse show, but Kelley encouraged me and got me there. 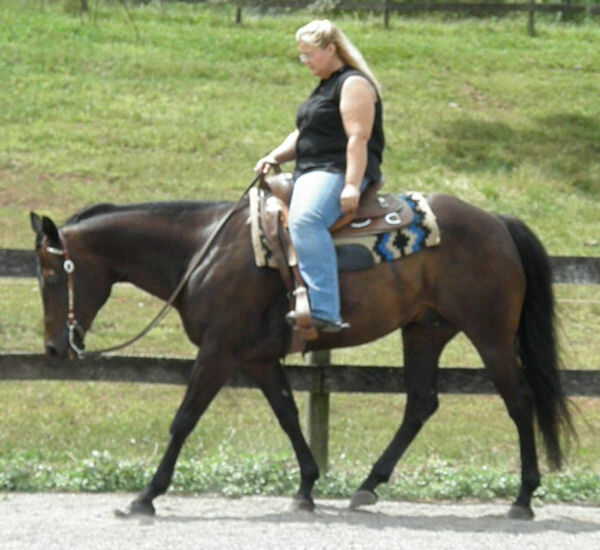 With Kelley's expertise, she was able to determine exactly what I needed to improve my riding. Her method of instruction was extremely helpful and lots of fun! Plus, I loved the horse. I highly recommend her as a trainer.